Strewth! 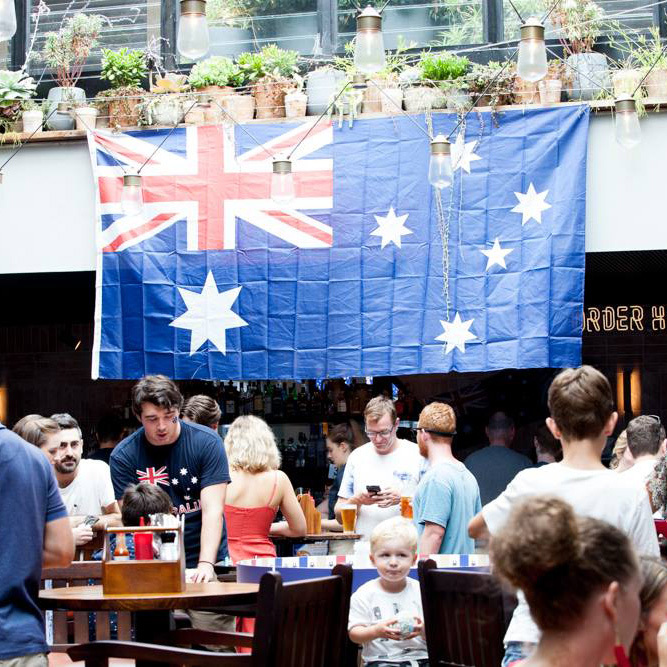 Celebrate the Australia Day long weekend by heading to a popular watering hole near you. It’s a smart move because you don’t have to worry about packing anything and you don’t have to clean up after either. Simply round up a posse and sort out your attire. That’s it! Before any of that though, where are you going to party? 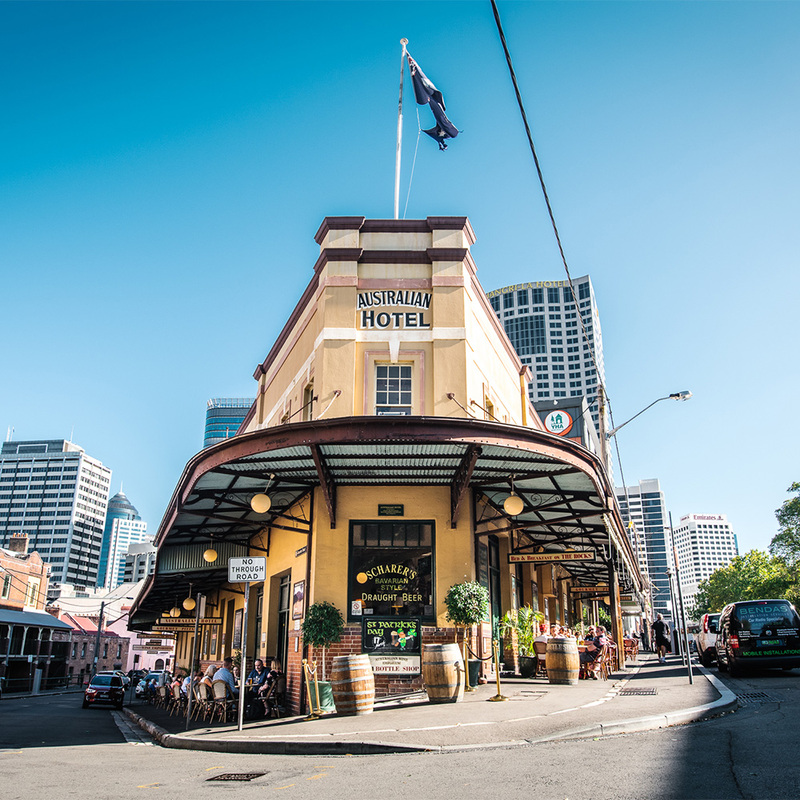 Join the team for the ultimate Aussie long weekend in the city. Start the main afternoon with a Stone & Wood garden party, featuring live music. On Sunday, revive yourself from the hangover with Triple J’s Hottest 100 followed by live performances. Then finally recover at the Bloody Mary Bar on Monday to set you straight before starting the week. 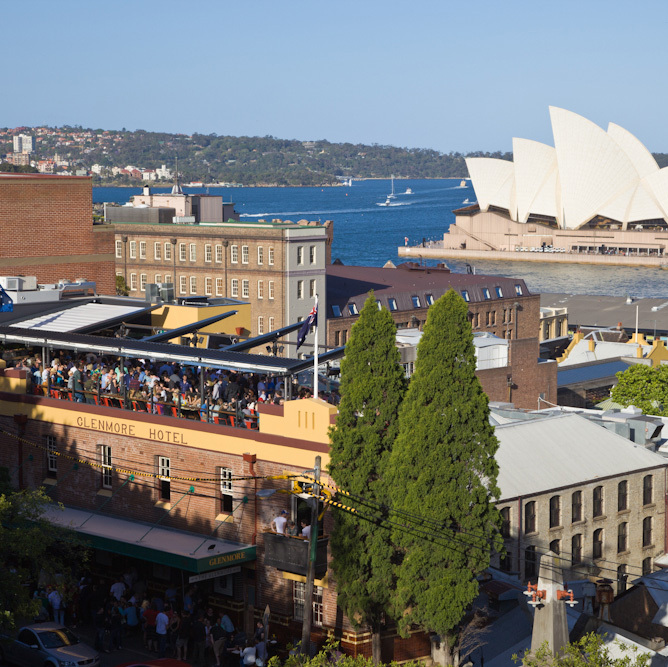 Kick off the celebrations with a rooftop party and the best view in the city before preparing for day two for Triple J’s Hottest 100 countdown party. There’s live music from The Bollinger Boys on Saturday from 4pm and DJ Danny Simms kicks off from 7pm on Sunday. The weekend brings with it face painting and specials to get you in the party spirit before the team hosts a rooftop recovery on Monday. The Argyle will be party central over the long weekend, starting with the Potbelleez on Friday night. 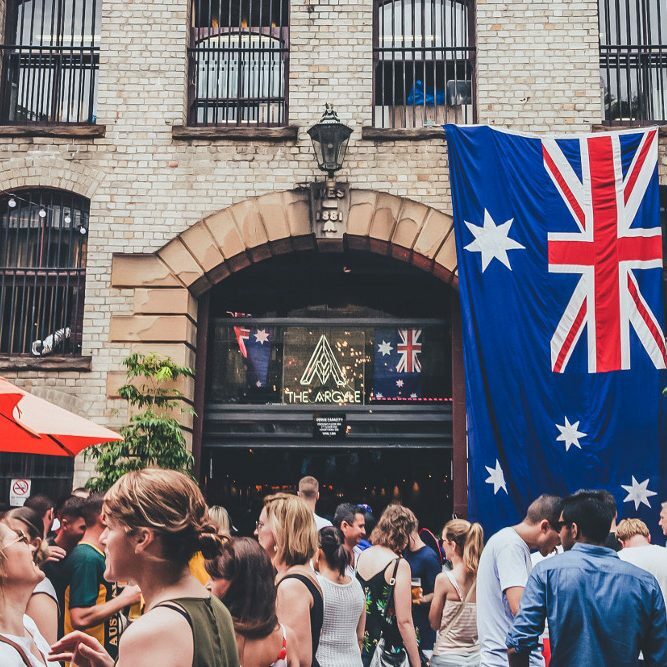 The fun continues on Australia Day with a sizzling summer BBQ in The Argyle’s courtyard from 11am, featuring snags, burgers, prawn skewers and lamb chops. Saturday night will see DJ Tigerlily hit the decks, then beat the hangover with a day party on Sunday in the courtyard. Sign up with The Argyle for free entry before 9pm. 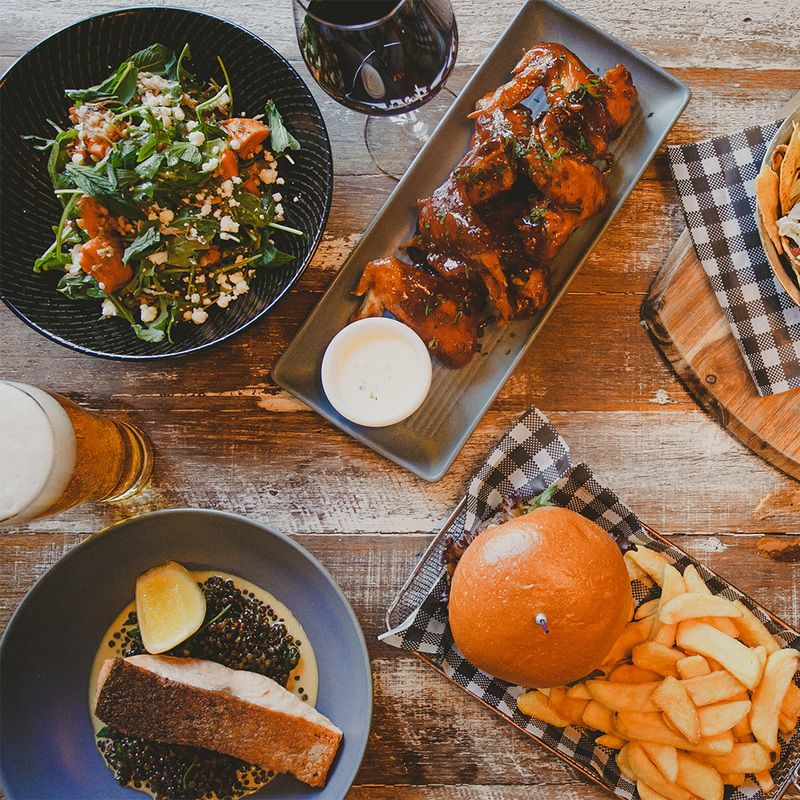 Bring along a crew and enjoy a feast from the summer menu including Aussie classics such as bangers and mash with peas and onion gravy; chicken parmi with homemade tomato marinara, cheese, coleslaw and chips; or a grand steak. 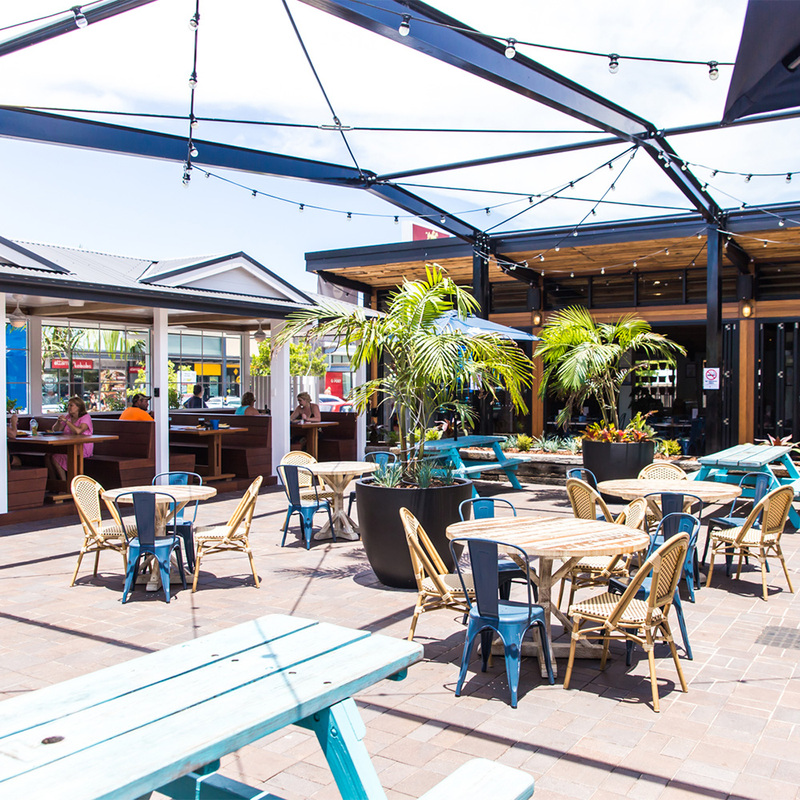 If the classics aren’t your style, treat yourself to the Australia Day burger and schooner special that will keep everyone going for karaoke – kicking off in the main bar from 9.30pm. Then keep revving on Sunday for Triple J’s Hottest 100 countdown, playing across the venue live and loud. Round up a posse and enjoy cocktails on the jetty as you prepare for an evening of dancing with local DJs Alex Preston and Graham Mandroules. Come back for round two on Sunday with the Triple J Hottest 100 playing live across the venue, revving up the revellers before DJs Dollar Cub and Friendless take on the deck. Tuck into an Aussie classic cheese and vegemite pizza; or snap up some seafood from the food menu. 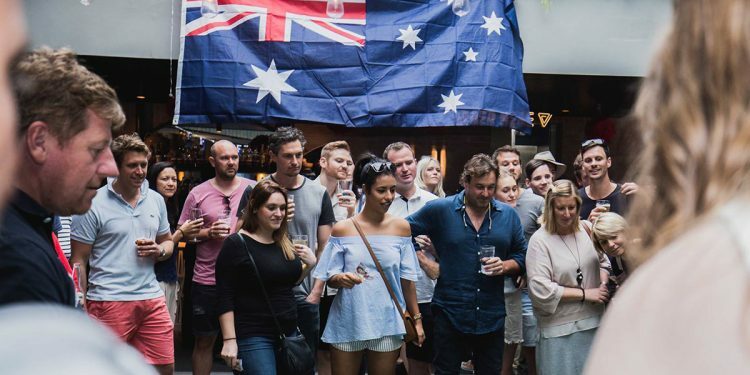 The Buena is taking Australia Day celebrations to the next level with four days of food, drinks and entertainment. Friday kicks the weekend off with $6 Endeavour Brewing Pale Ale schooners, $12 espresso martinis and Aussie hits played loud and live. 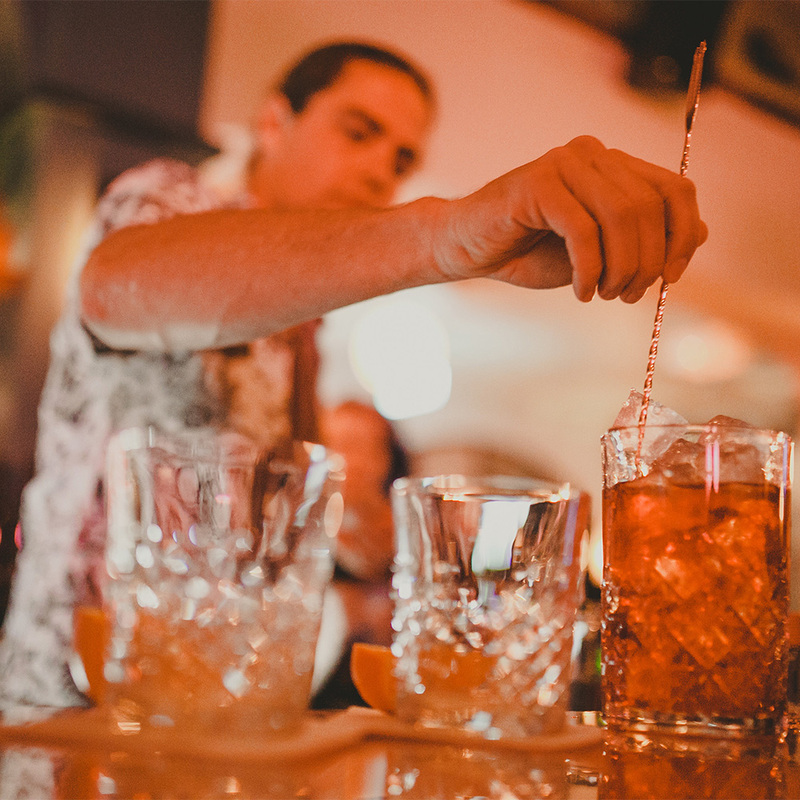 On Saturday enjoy $12 Aperol Spritz’ and groove to the Aussie classics being spun from 4pm by Live DJs. Triple J’s Hottest 100 will be live streamed on Sunday with $15 beer jugs available. And then for the recovery on Monday, it’s all cocktails to get you hydrated for work, including a Kombucha Spritz. Join the Misfits team on Sunday 27 for classic tunes and beer in their ‘Party At Our House’ event. The Hottest 100 plays from 3pm followed by DJs from 8pm. There are buckets of mixed tinnies and Aussie themed snacks including sausage rolls, cheese toasties and pavlova. Consider it your home away from home! 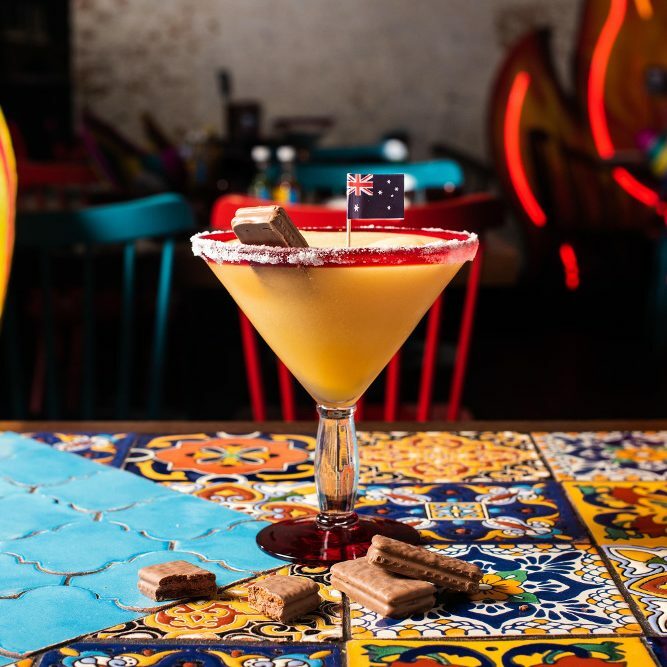 El Camino Cantina’s classic margarita is being given an Australia Day Tim Tam twist. The Tim Tam Rita is a smooth blend of tequila and caramel liqueur, and comes topped with a caramel Tim Tam biscuit. It’s available from both restaurants at The Rocks and Manly for $15 (15oz) or $19 (24oz). 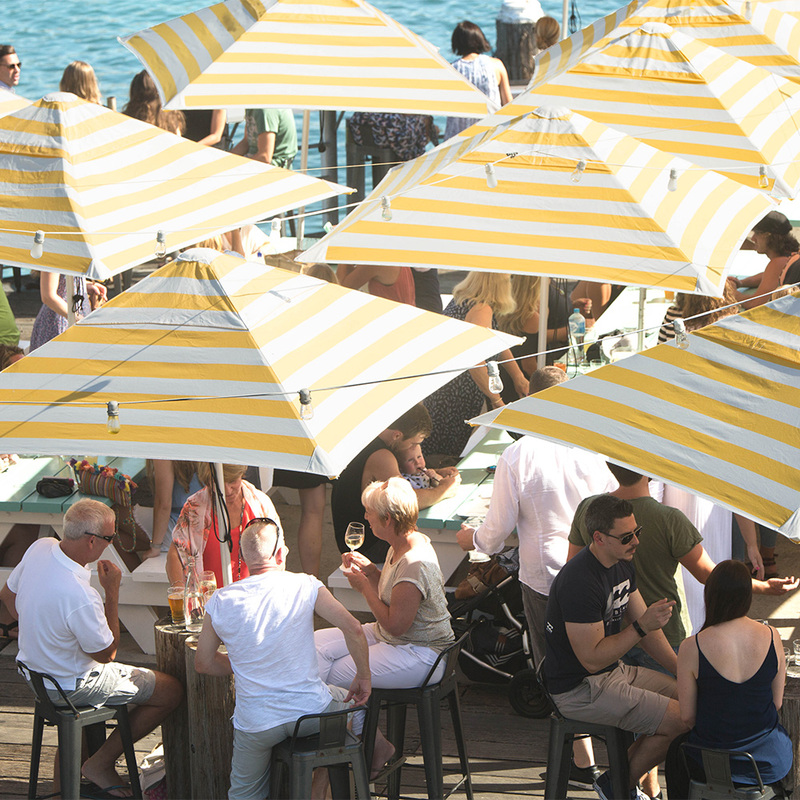 Celebrate the summer long weekend at The Tudor, featuring music, Aussie snacks and drink specials. Think sausage sizzles, backyard games and $5 VB tinnies. 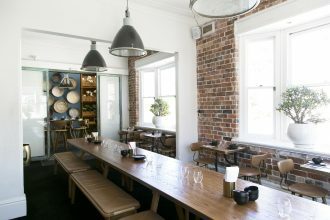 If you want something truly filling, try the Pitt Street burger with a beef patty, bacon, cheese, tomato, lettuce, beetroot, relish, mustard and pickles; or the chicken parmigiana with smoked ham, chunky tomato sauce and cheese; or even the Sunday Roast – the chef’s weekly creation for just $20. 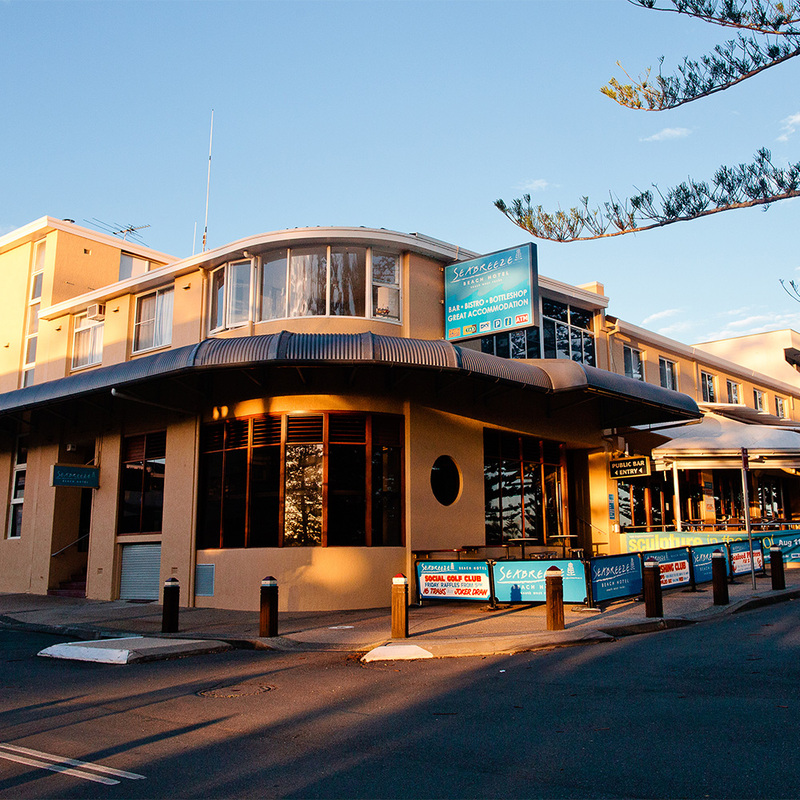 Evade the hustle and bustle of the city and head north to the Seabreeze Beach Hotel. On Saturday there’s crab races, thong throwing, and the famous prawn peeling competition, which is back for another round. Sunday, enjoy the Triple J Hottest 100 in the beer garden before Pat Coyle gets up to play a set of soul, blues and folk music. Make a weekend of it by booking a room in the hotel and enjoy the festivities with friends and family. 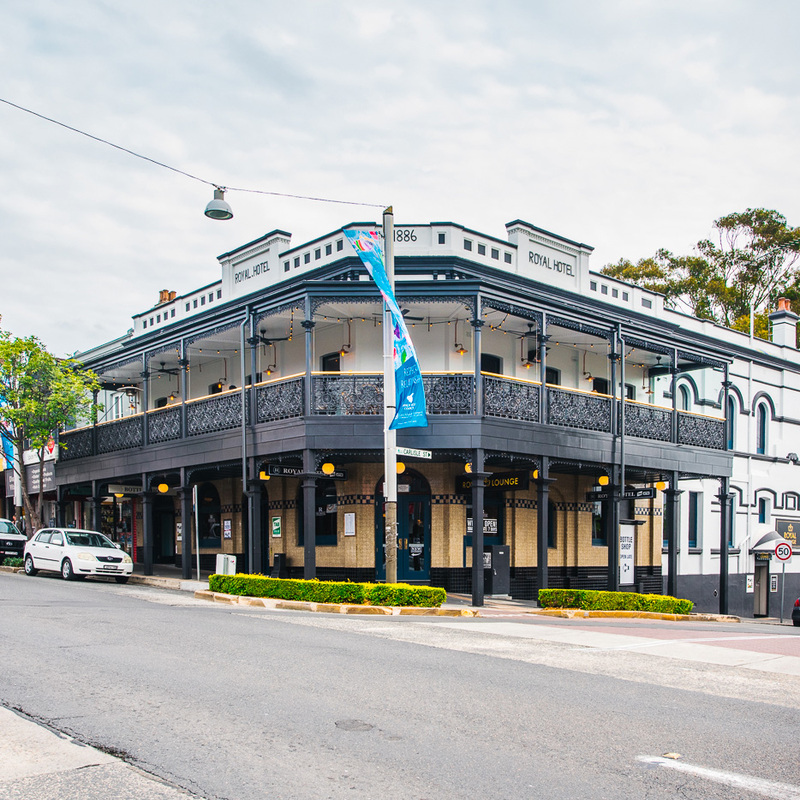 Keep going north from the Seabreeze Beach Hotel and join the team at Toormina Hotel for a weekend of activities, competitions and music. Saturday brings the third annual prawn peeling competition, kicking off from 1pm and giving you a chance to win your very own tinnie by simply purchasing a Carlton tinnie. Phat Tracta plays from 8.30pm to finish the day and get you dancing all night long. 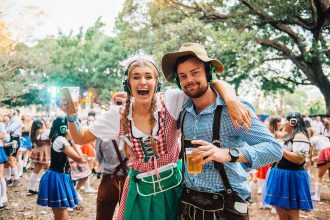 Come back for a second round on Sunday, with Triple J’s Hottest 100 playing live and loud in the grassy beer garden. You can also put your putting skills to the test with a putting challenge that runs both Saturday and Sunday.